THE COUCH’S ARMS EACH HAVE A CUP HOLDER. THE LEFT CUP HOLDER HOLDS A STYROFOAM CUP FILLED WITH LIQUID, TOPPED WITH A LID BYPASSED BY AN ALUMINUM STRAW. THE RIGHT CUP HOLDER IS EMPTY. 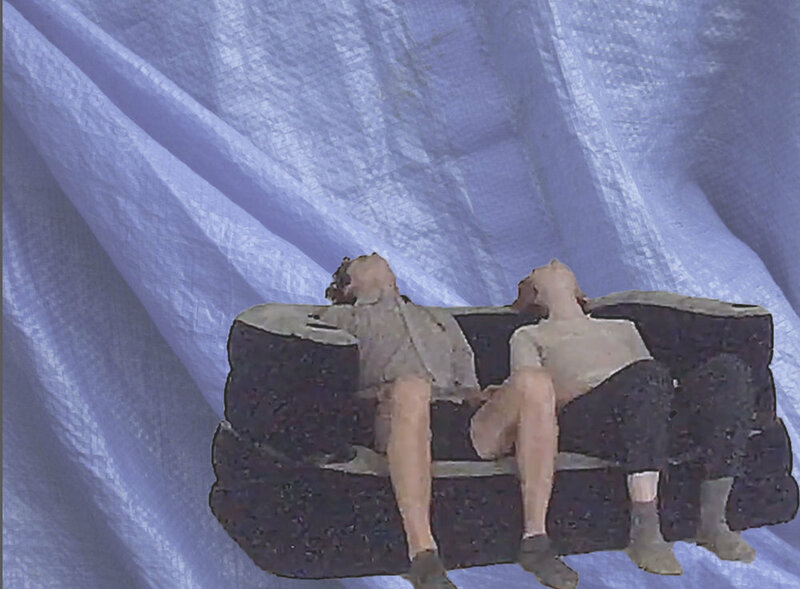 Dages Juvelier Keates and Alexis Steeves propose a conversation between two dancers who are relaxing open, listening, articulating what Rosalind Crisp calls “news from the body.” Words are important. Language congealed from Keates and Steeves’ combined seventy years of studio practice form a layer of contact, a sediment in the space we all inhabit. They will explore the possibilities of intimacy with each other, with observers, and with various affective, socio-bio bodies as they respond, relax, and refine their attention to the surfaces and scale of skin and gaze. Sound design by Joshua Dumas. Alexa West is an artist based in the New York area. West is recent graduate of the Cooper Union School of Art. Prior to her undergraduate studies, West trained at the Martha Graham School in New York City. She has exhibited work at Silos on Sawyer in Houston as well as Otion Front and Cooper Union in New York. West works in between sculpture, object, performance and dance. Dages Juvelier Keates is a dance artist based in New York. Her work seeks to decolonize “the body” as a re/productive site of heteronormative domesticity. 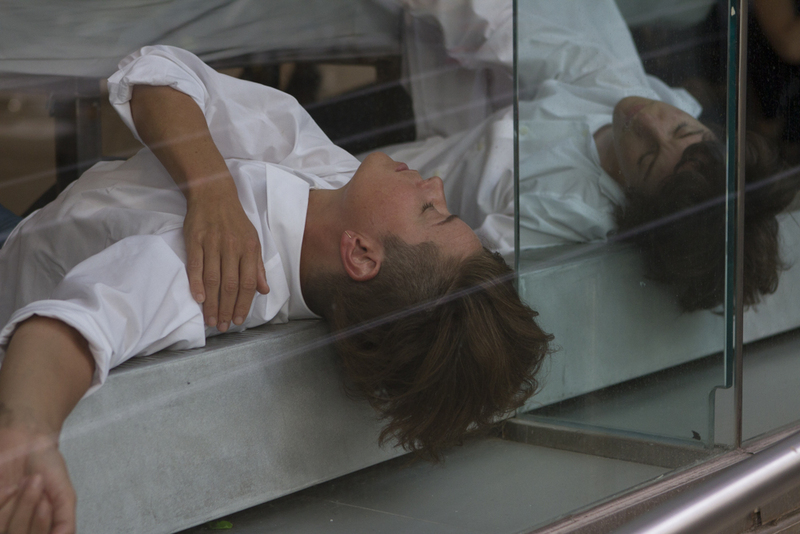 Her projects have recently been presented by Art Helix, CPR, Glasshouse, Dixon Place, and Triskelion Arts. 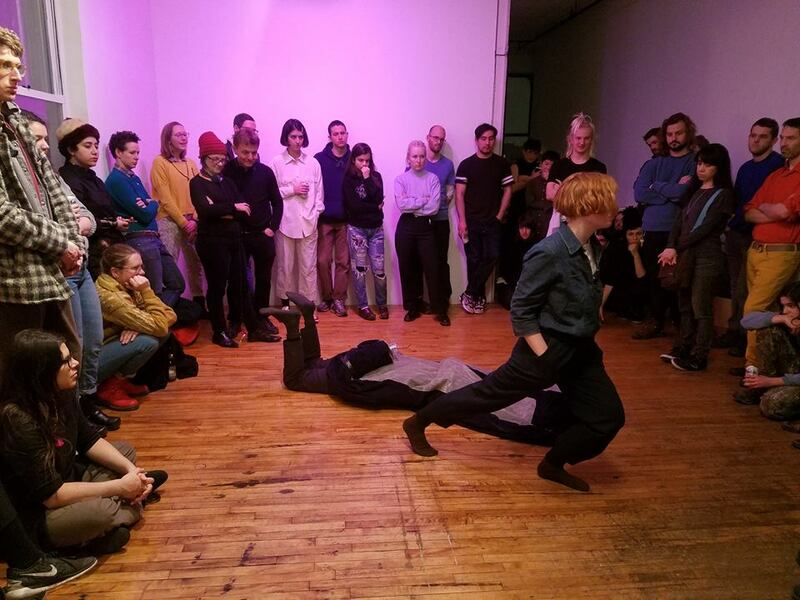 Recent residencies and awards include 3LD, chashama, Marble House Project, The Watermill Center, and The Stable. Keates has a B.A from Bard College and M.A. from NYU. 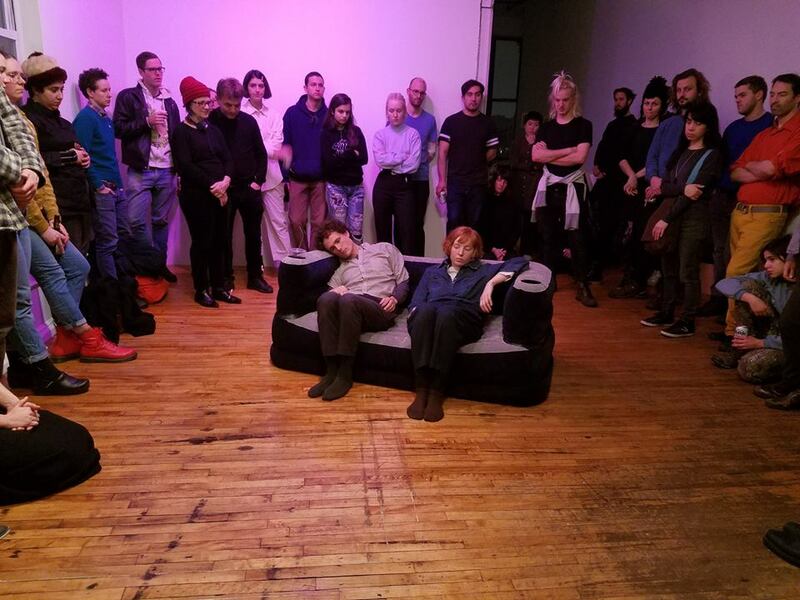 TWOFORTY is a loft project space founded by Amanda Turner Pohan. Natasha Marie Llorens is an independent curator and writer based between Marseille and New York.